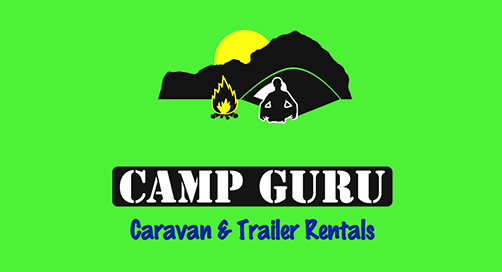 Kempton Caravans & Campworld in Edenvale Gauteng offers Caravans and Trailers for Rent through CampGuru. 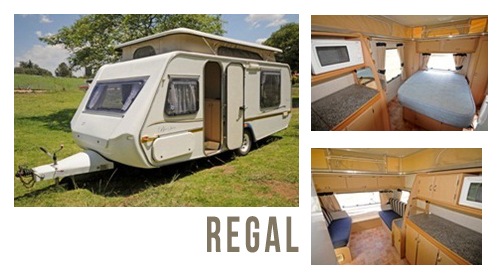 We offer a fleet of caravans to suit any size family looking to enjoy a holiday in the great outdoors, a range of trailers to help move furniture, garden refuse etc and a selection of custom built caravan units to specifically service the film industry. 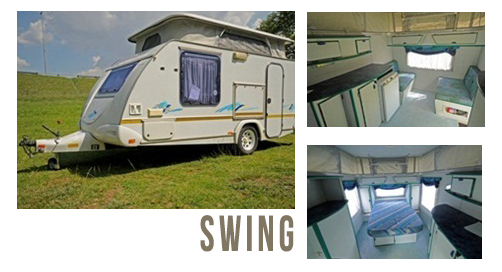 We invite you to explore a whole new world of adventure – camping in a caravan - allowing you complete freedom, comfort, flexibility and independence. 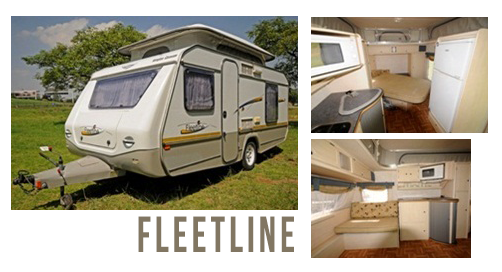 From budget caravans to late model luxury caravans, we have the perfect caravan to suit your taste and pocket. Try before you buy – Looking to experience an outdoor and camping lifestyle but unsure which caravan will suit your needs? Take a mate – Have a caravan and keen to introduce a friend to the adventure? Select a van – Visit us and choose the caravan that suits your needs. 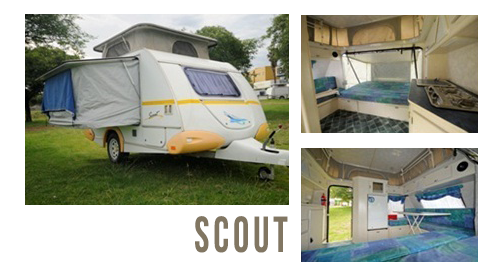 R500 to secure caravan.Should the rental be cancelled this deposit is not refundable. We will however utilise this for a future rental. 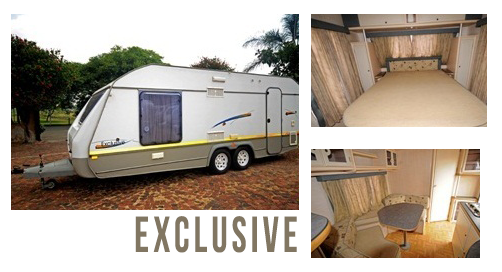 The balance of the deposit of R4 500,00 to be paid on collection of the caravan. Total deposit is therefor R5 000,00 which is refundable on return of the caravan. The full rental to be paid on collection of the caravan. We require a minimum of 3 days rental and this will vary between peak season and long weekends. We are closed on public holidays and Sundays and caravans will not be released or accepted back on these days. Please note that the insurance is applicable to the caravan only and subsequent damage or damage to any other property is not covered and the hirer accepts no responsibility thereof. Should the rental period be shortened for any reason whatsoever, no refund will be given for the unused portion of the rental. Should the caravan not be returned on the agreed date and there is no written confirmation by the hirer that the rental may be extended then the deposit will be forfeited. The extended rental will be charged at the same rate as per the contract. On collection of the caravan the fridge will be cold and the battery (if applicable) charged. We are not liable for fridge failure whilst you are away. Eskom’s erratic power supply or the shocking state of our roads are possible causes over which we have no control. Please use your surname as reference and forward proof of deposit to secure your booking. We will confirm the booking via e-mail as soon as the deposit is reflected in our bank account.